As a bike shop owner, you see a lot of interesting customer projects roll through the doors. For Kyle, Woody, David and Ty at Golden Saddle Cyclery, it’s this steady influx of unique projects that keeps them engaged in the day to day shop routines. Once and a while, however, something rolls through that catches your eye. The customer acquired this bike in a deal from its original owner, who rode it for a few years. It has a bit of beausage after extensive use. Once he acquired the frame, he began buying components piece by piece. Personally, I like the seemingly random parts including: made in the UK Middleburn cranks, a raw Haulin’ Colin rack, SON Edelux, Berthoud saddle, White Industries rear hub and Nitto cockpit. If you’re thinking this frame looks familiar, John from Elephant used this platform as a beginning for the National Forest Explorer. They’re strikingly similar, save for the use of cantilevers on this bike, versus disc brakes and that color. 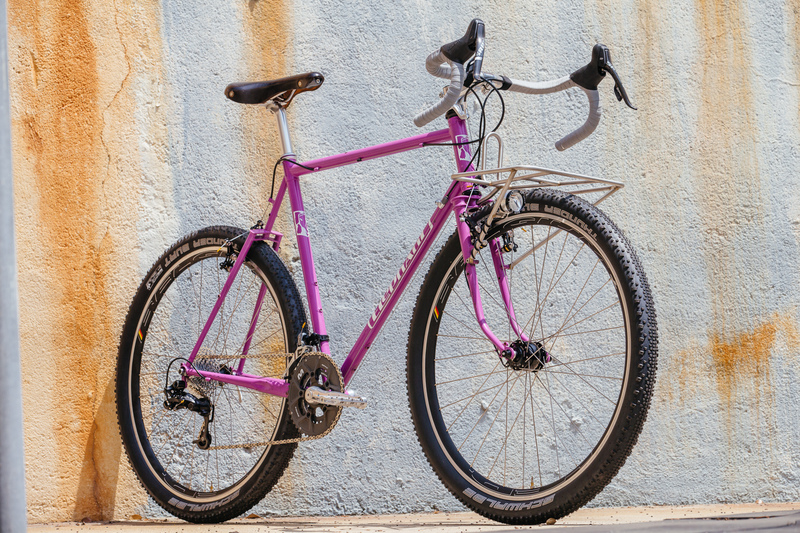 A joint effort between Brent Steelman and Mitch Pryor, the S&P Randonneur Project is a fully-featured, light-weight, event-ready randonneuse that is equally at home on remote gravel roads or your local chip-seal. Built by a factory of two between Redwood City and Chico, California with the finest raw materials available today. Available in 7 stock sizes. Low-trail front end geometry and custom-fitted racks, optimized for front loading and intuitive handling provide a solid foundation. Provisions for generator wire routing, and ideal clearances for 650B x 42mm tires and fenders ensure supreme comfort over mixed terrain. Optional detachable low-rider racks for light touring. 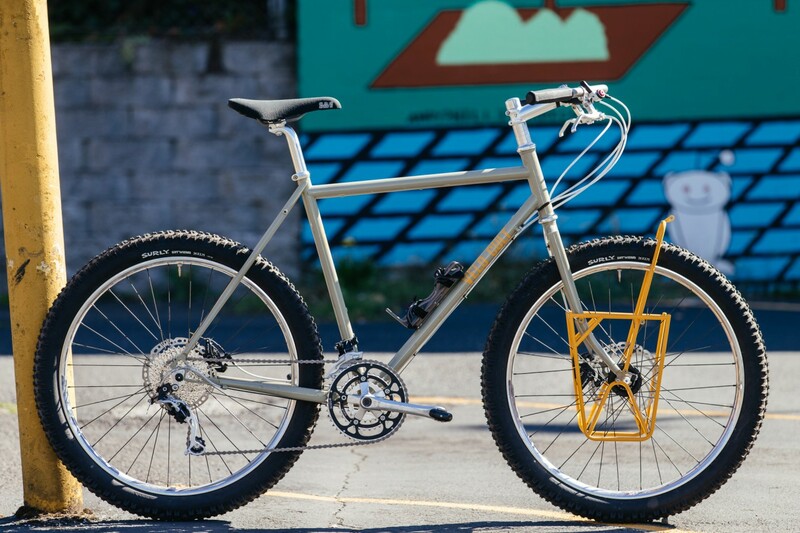 Extreme versatility in a bicycle that sacrifices literally nothing. Proven randonneuring geometry optimized for front loading, intuitive handling, and long-distance performance without sacrificing comfort. 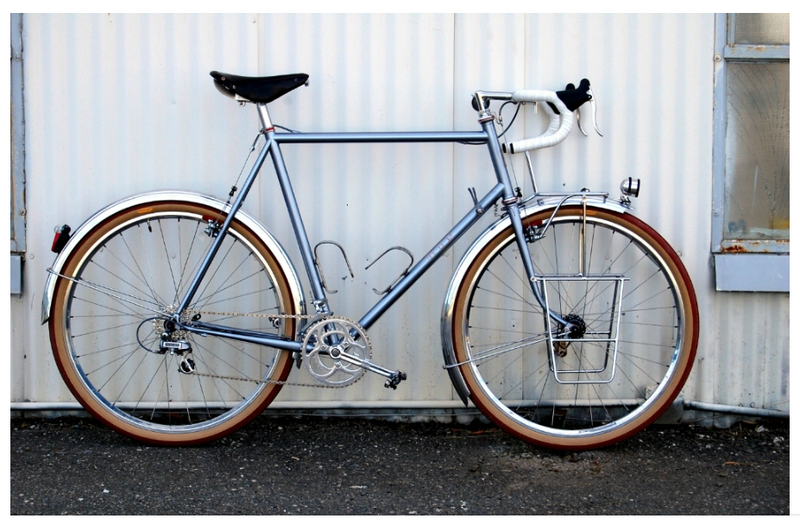 Brazed 1″ threaded fork utilizing Kaisei Imperial fork blades and Grand Bois fork crown, with low-rider bosses and generator wire path. Headtube tube ring reinforcements for frame longevity. Path in frame for wired tail light. Braze-ons for Compass centerpull brakes. 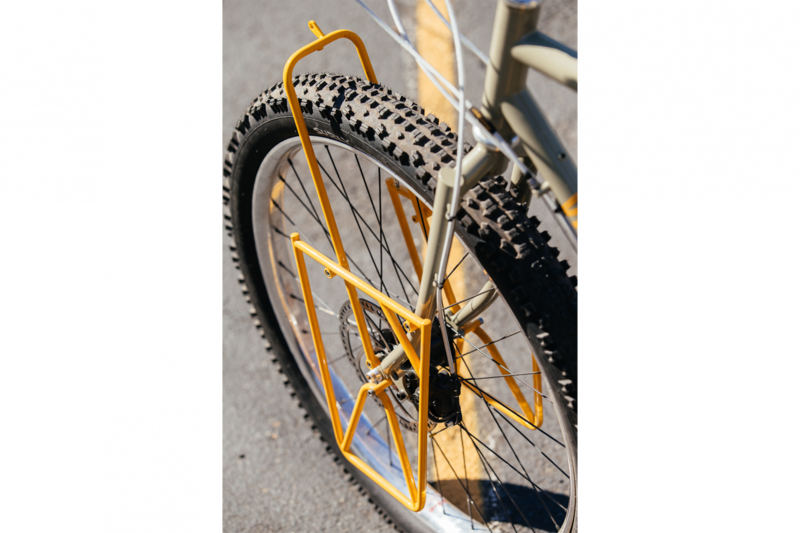 Brazed on chain stay slap guard protector. 27.2mm seatpost with brazed on stainless steel collar. Optional braze-on for seat tube mounted tail light and frame pump. Top quality wet paint finish in a wide array of colors. 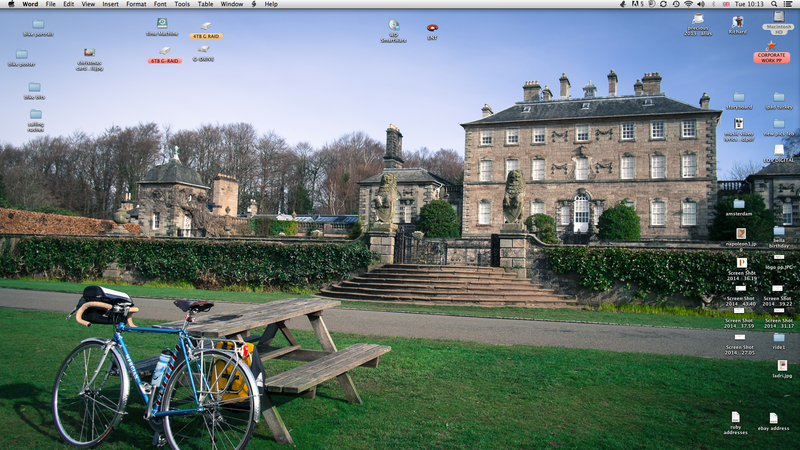 Finishing an edit before I disappear to South Africa with my daughters for easter – work to finish so not had time to get out on the bike – but gads this is a cruel reminder ….